Adorable puppy looking down at a cat black white . 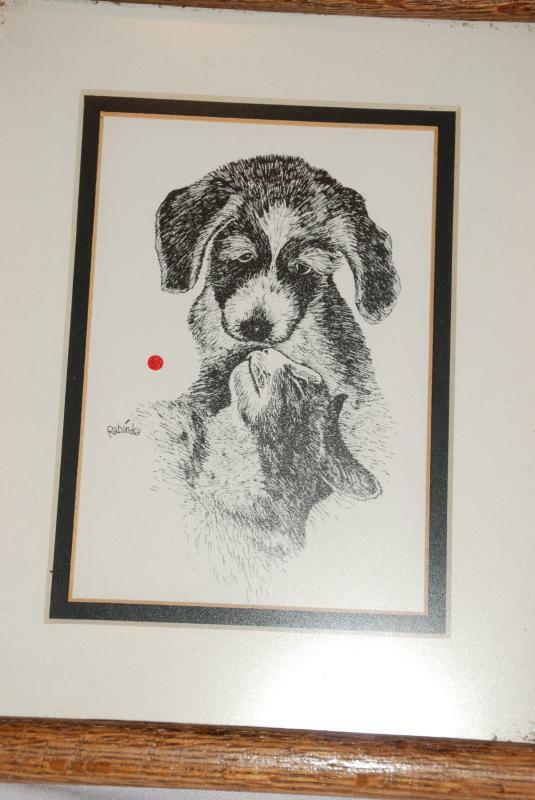 It is signed and has the red dot indicating that is part of the "RED DOT" series. The frame is 9 x 11". 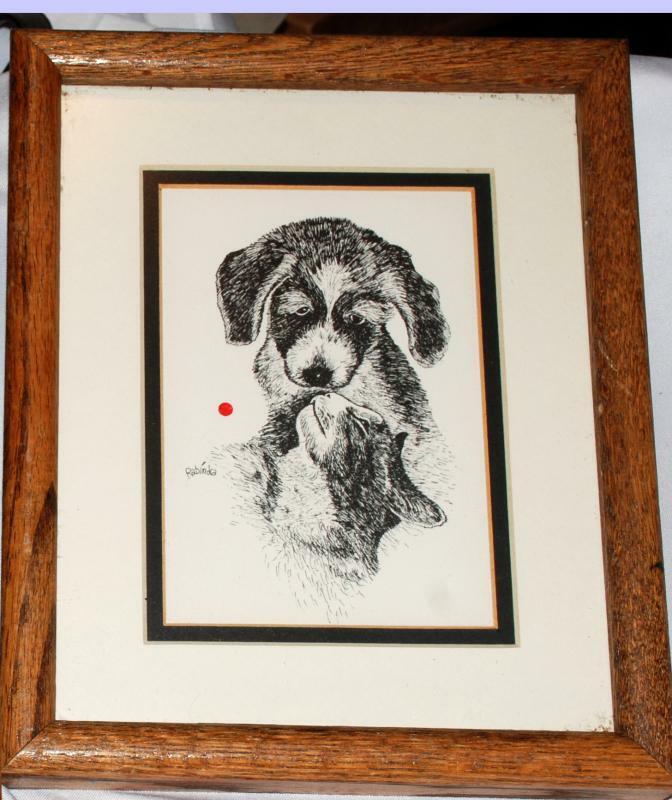 It is an aged Oak frame and matted in a white mat with black inside edges. The paper backing on the back is torn. The rest is in excellent condition.